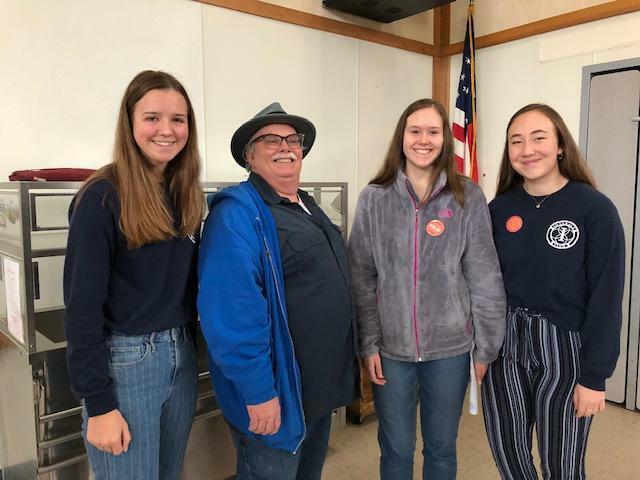 At our monthly assembly three members of the Arcata High School Interact Club (Rotary) spoke to the students about Polio. They did a fabulous job of explaining the importance of the program. Arcata High School Interact Club has made Rotary Polio Buttons to help raise money for polio eradication efforts. For each Rotary Polio Button that is sold for 50¢, the Bill and Melinda Gates Foundation will donate an additional 50¢ to Rotary efforts to eradicate polio. With this $1.00, ten doses of the polio vaccines can be administered. With the help of your donations, we can get one step closer to eradicating polio. Rotary International has been working to eradicate Polio for more than 30 years, and has helped to reduce polio cases by 99.9%. They have helped to immunize more than 2.5 billion children in 122 countries. Although polio is not nearly as prominent as it once was, it still remains endemic to three countries: Nigeria, Afghanistan, and Pakistan.